Q.What are your office hours? A.Egg Donation, Inc. is open Monday through Friday from 9 a.m. to 4:30 p.m., PST. Any inquiries left over the weekend will be responded to during normal business hours. We also have a 24 hour emergency line. Q.You are in California, but my doctor is in another state. How does this work? A.Egg Donation, Inc. is the liaison between your donor, your medical facility, and any other entities needed to help complete your cycle. We work with donors, intended parents, and medical facilities from all over the country. As such, it is conveniently irrelevant where we are located. You will simply provide us your medical facility’s fax and phone numbers, along with the name of your Nurse Coordinator and her email address, when you retain our agency. We then have all we need to open the lines of communication with your IVF clinic and begin to coordinate your cycle. Q.Do I need to come into your office? A.Egg Donation, Inc. assists recipients from all over the United States, and in some cases, the world. Logistics prevent us from being able to meet some of our recipients, but we are conveniently able to assist you remotely via phone, video conferencing and email. If you live in the Los Angeles area or plan to visit, you are more than welcome to come by our offices. We welcome the opportunity to meet our Intended Parents in person. Q.Do you work with international recipients? A.Yes, we are proud of the large number of international recipients we’ve been able to help. We find we are able to have the same close working relationship and level of communication with our international intended parents as we have with our domestic recipients. Unlike many agencies, there is no additional fee through Egg Donation, Inc. for not living in the United States. Q.Do you ship frozen eggs? 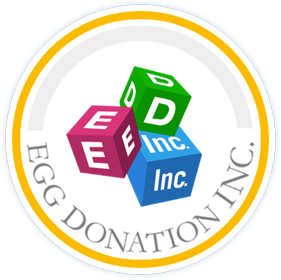 A.Egg Donation, Inc. is not a medical facility or an egg bank. Our agency is employed only for the use of a donor for a fresh egg retrieval. Once the eggs are retrieved, however, it is an option to have them all frozen and shipped. You would need to speak with the cycling facility to find out if shipping frozen eggs is a service they provide. Our frozen egg bank, located in Los Angeles, California does ship eggs. A.Women donate because they are motivated by a desire to help couples and individuals in their quest for parenthood. Many donors are mothers themselves who want others to experience the same joy parenthood has brought to them. Others personally know someone who has struggled with infertility, and therefore, they are extra sensitive to the needs of the recipient parents. Q.How do you find your donors? A.They find us! Our donors find our agency through their own research on the internet. Others are referred to us by their friends. Egg Donation, Inc. does not advertise for donors. Q.Do you meet your donors in person? A.Our donors are located all over the United States with a few in Canada. We meet many of them in person. Those we do meet tend to live in Southern California, or they may stop by our office if their cycling physician is in the LA area. Through frequent email, video conferencing and phone contact with donors, we are able to get a good sense of their personalities and responsiveness. Q.How do I view your database of donors? A.Please visit www.eggdonor.com and click the “For Recipients” link on the right side of the home page. A link will appear below that titled, “Create Recipient Account.” Click that link and proceed to fill out the brief application. Once you have submitted your information, an email will be sent to you. Through this email, you will create a password and verify your account. You may now revisit the site and “login” with your email address and the password you created. Once logged in, you have full access to the information provided in the donor database. 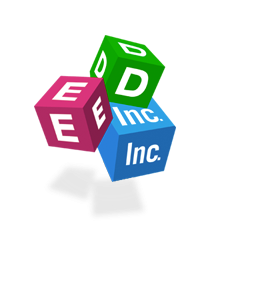 Q.What Type of Information Can I find on the donors in your database? A.After you’ve created a recipient account, you will be able to login to view the complete profiles of our donors. This includes information regarding their personal and family medical history, education and employment background, interests, skills, and character traits. You will also be able to view all of the pictures they uploaded. Q.How do I Find a Donor that has My Traits? A.Through our Advanced Search function, you can search for donors who have your same features. You have many search options including, but not limited to, ethnicity, hair color, eye color, height, education level, etc. You are also welcome to forward us your criteria and even photos of yourself if you would like our assistance in finding your ideal donor. Q.How often are new donors added to the database? A.We add a handful of new donors to our database each week. While we receive dozens of applications from potential donors daily, we do not approve their profiles for viewing until their application is thoroughly completed, and we’ve collected their medical release form and copy of their driver’s license. The amount of time it takes to receive all the information varies from donor to donor, but it generally takes a few weeks from the time the donor begins to fill out the application until the time her profile makes it to our database. If you are only interested in viewing profiles of new donors, please take advantage of the “Profiles submitted within the last 30 days” option found on the search page. Q.Will Egg Donation, Inc. notify us if a new donor applies who would be a match for us? A.If you are having a difficult time finding a match, you are welcome to put in a request for us to keep an eye out for new applicants that may meet your criteria. Given that we have a high volume of interested intended parents it can be challenging for us to keep track of each special request. Therefore, we encourage you to be proactive by checking in with us periodically. The more familiar we are with you and your request, the more likely we are to recognize that suitable donor for you. We also have a search function on our database which allows you to only view donors whose profiles have been added within the past 30 days. Please make sure you check the database often. Q.How do you determine if a donor’s application gets approved? A.Egg Donation, Inc. has a very extensive approval process. Donors must complete a lengthy questionnaire, which spans her health history, education and employment, traits, and previous cycle details if applicable. The medical and genetic section covers not only her own health history but also that of her family. Many of the questions found in this section are very similar to the ones that will be asked of her at your IVF clinic. Donors who are found to have a personal or family history of heart disease, cancer, mental health issues, diabetes, and alcoholism will not be approved. We also screen donors according to the BMI (Body Mass Index), and we do not accept those who are not within the appropriate height/weight limits. Donors who smoke or are on certain prescription medications that could affect the cycle are immediately eliminated. We also do not approve donors who have gotten a tattoo within the past year or who have already cycled six times. Once we approve her application, we collect a copy of her driver’s license to verify her identity as the final step before adding her profile to our active database. Q.How do you verify your donor’s information? A.Before approving their applications, every donor is required to provide proof of personal identity by sending us a scanned copy of their driver’s license or passport. If GPA or SAT/ACT scores are particularly important to a recipient, we will ask the donor to send us her scores and transcripts. For previous donors, we make every effort to retrieve her previous medical records from the cycling facility. Q.Have the donors on your database been medically and psychologically screened? A.Egg Donation, Inc. is not a medical facility, and therefore, we do not have the authority to order medical and psychological testing. Such tests must be requested by a licensed physician, and orders with his signature must be sent to the medical facility where the testing will be performed. If you choose a donor who has cycled before, she will most likely have been completely medically and psychologically evaluated. Those records will be forwarded to your cycling physician. In the event your donor will be entering her first cycle, you will have the peace of mind knowing that she will be screened according to your doctor’s specific protocol. Q.Will Egg Donation, Inc. provide previous cycle information to my doctor? A.Before being accepted into our program, all donors are required to sign a medical release so we are able to obtain previous cycle records. The information we receive from previous cycles will generally include the stimulation sheets, the embryology report and the stats such as number of eggs, number of embryos, and pregnancy results. Unfortunately, not all IVF centers are willing to release these records to us as they feel this information belongs solely to the intended parents for that cycle. Most IVF centers, though, do understand these records are critical for other intended parents who are considering cycling with the same donor. Once you have selected a donor and retained our agency, we then send all of the records we have on file for her to your IVF center for review. We also send the donor’s full profile so that the clinic can verify the person before them is the donor you’ve chosen. We are more than willing to share with you previous cycle stats and confirmation of whether or not certain tests were performed. We do not, however, send you an actual copy of any reports or records in order to protect the donor’s confidentiality. Q.What if I am interested in a donor who is not local to my IVF clinic? A.Regardless of where your donor is located, she will still be screened according to your doctor’s protocol. Most of her testing will be completed local to her at a facility that we designate. The results will then be forwarded to your doctor. In addition, your donor will be screened in person by your doctor once prior to the retrieval. If possible, we get her there and back the same day; at most, an overnight stay might be required. We send the details of the appointment to a travel agency that will make the arrangements on your behalf. The second time your donor sees your doctor will be for the retrieval, itself. This time, she will stay near your cycling facility for four to seven days, and she will also have a companion with her to tend to her following the retrieval. You will be responsible for all travel expenses including flights, hotel, per diem, and ground transportation for your donor and her companion. Most of our cases do involve travel, so it is not out of the ordinary if you require the same. A.When donors apply to our program, we inform them that travel is a very real possibility in order to get selected for this process. We let them know they would travel at least twice to the IVF clinic and the length of time they would need to be gone. Most donors have no problem accommodating the travel requirements. Sometimes, however, donors do have restrictions due to school, work, or family obligations that prevent them from being able to travel. We make note of any special circumstances so we can pass this information along to you when you alert us to the donors you are considering. Q.Will my donor travel internationally? A.We have had an increased number of recipients inquire about completing their cycles in foreign countries such as India. However, Egg Donation, Inc. does not directly arrange the logistics for these cycles. The medical protocol, legal, insurance, and travel dynamics are different in an international cycle vs. a domestic one. Our top priority is the safety and well-being of our donors. Q.Can I meet or speak to the donor? A.Most of our recipients wish to remain anonymous and all the cycles begin with full anonymity on the part of the recipient. However, it is your choice if you would like to have contact with the donor and what level of contact you are comfortable with. We recommend you make this decision prior to being matched so we can make sure your donor is amenable; we find that most donors are. We can arrange a confidential conference call or face-to-face meeting after your donor is confirmed for your cycle. We also encourage the use of letters to introduce yourself to the donor and thank her for sharing her gift with you. We respect the personal nature of the choice to use an ovum donor and will only share with the donor the information you permit. Q.Are your donors willing to meet the child/children in the future? A.Some of our donors are willing to meet the child in the future but usually only once the child has reached adulthood. It is best to decide ahead of time if this is an arrangement you would like your donor to be open to so we can confirm her willingness prior to a match. While we do expect donors to keep Egg Donation, Inc. updated as their contact information changes throughout the years, we suggest the legal contract between the parties contains language about future meetings. You may need to agree upon a designated person who will hold the contact information of both parties, and who will be notified should any of the contact information change; this is usually an attorney. If there is a fee charged for this service, it is the responsibility of the intended parents. Please make sure to discuss future meetings with your legal representative as Egg Donation, Inc. cannot provide any legal advice. Q.How Does the Donor Know What Her Responsibilities Are? A.When you select your donor, we explain to her what is expected of her in terms of time investment and medical obligations. She signs a contract with Egg Donation, Inc. confirming her commitment to the cycle and specifying her compensation. In addition, once she is medically cleared to proceed with the retrieval, a legal contract is signed by you and your donor stating both parties’ responsibilities and declaring all eggs retrieved are the property of the Future Parents in the specified treatment cycle. Q.How Much Will the Egg Donation Process Cost? A.There are a variety of factors that contribute to the cost of your cycle. For all costs relegated to Egg Donation, Inc., please see our Estimated Cost Sheet. It will detail our agency fees, as well as the approximate costs for the donor. You may also contact one of our matching specialists to email you a breakdown of the fees and to explain the estimated costs to you. Any questions regarding costs related to the retrieval, itself, stimulation medications for the donor, and your own medical expenses, should be directed to your cycling facility. Q.How much is the donor’s compensation? A.Donor’s compensation ranges from $6,500 for a first time donor to over $10,000 for a repeat donor with a history of successful cycles. The American Society of Reproductive Medicine (ASRM) guidelines cap donor compensation at $10,000, and we adhere to that maximum. We are careful to make sure a donor’s compensation is fair for both the donor and the recipients. Q.How Does the Donor Receive Her Compensation? A.Egg Donation, Inc. establishes a trust account on your behalf in order to disperse payments to the various service providers involved in your cycle. This prevents you from making multiple payments, and it ensures anonymity for you and the donor. The donor’s compensation is included in the trust fund amount. The trust fund balance will be due once your donor is medically cleared, and we will notify you of this milestone. The donor’s compensation, however, will not be paid until we have confirmed with your medical facility that the retrieval has been completed. At that time, we will put her compensation check in the mail to her.